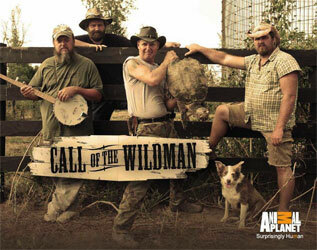 Call of the Wildman is the Animal Planet documentary series which follows the work of Ernie Brown Jr., also known as Turtleman. Turtleman has been diving into murky Kentucky ponds for four decades, taking on huge turtles with jaws able to bite through bone. Joining turtleman is his canine sidekick Lolly, and the two head out on a turtle-trapping mission that will lead them through unknown danger.